Daylight saving starts this weekend, along with the general election. Remember to reset the alarm clock!! Like me and everyone else, we are looking forward to a warmer drier spring!! This week I am heading down to Queenstown for the annual New Zealand Principals Association Conference. Yes what a fabulous part of the country to be having the conference, I just hope our planes do manage to be refuelled to get there. The theme of the conference, “Remarkably Different” is intended to signal that we are moving into a different way of working. It is also a reference to the magnificent conference backdrop of the Remarkables in stunning Queenstown, Aotearoa, NZ!! Winter Sports Prizegiving and Celebrations – To celebrate the winter sports season, this Friday will be our annual winter sports assembly which will be led By Mr Irvine. The assembly starts at the earlier time of 1.30pm to ensure there is enough time for everyone to be recognised for their participation and achievements. There will be an afternoon tea to follow. Zoo Trip – The Pukeko team are trying again (weather permitting!!) to visit Auckland Zoo. Please refer to all the team notices, newsletters and home sharing books for more detailedinformation regarding the trip. 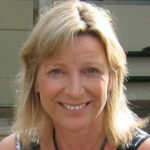 New Zealand Principal’s Federation Conference – Mrs Taylor will be deputising for me over these days 19th – 22nd September. If you need a time to discuss an issue then please ensure you make an appointment first. She will be more than happy to meet and chat with you. The Pukeko and Kiwi Teams Marvellous Musical Medley Year 1-4 – This music performance assembly is on the last day of the term, Friday 29th September at 2.00pm. All 7 classes will be performing an item at this assembly, a culmination of their performance arts focus for term 3. Term 3 Holidays – In less than two weeks it will be the holidays. Please come and check once more for your lost property. We have a cycle helmet, lots of jackets, coats and sweatshirts to be claimed as well as shoes and boots. New Zealand General Election –This week we are all given the democratic right to vote. I am sure you will agree with me it has been quite a campaign and an interesting time for New Zealand. The school is as it has been for many years, a place you can come and vote. Miss Ludwig is the manager of this voting centre – so you know you will get a cheery “hi” if you come down here and vote!! (P.S. No bus changes can be made on the day!! She will be very busy!). 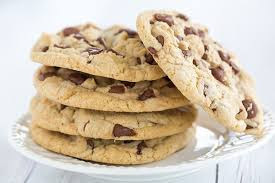 Bake Sale – As part of the year 7/8 camp fundraising, the bake sale continues on Wednesday 20th and Thursday 21st September at morning tea outside the year 7/8 classes. All baking will cost 50cents or $1.00. Please come and buy some yummy baking! Ag Day Market Stalls – Are you a budding entrepreneur? Do you have something that you would like to sell? 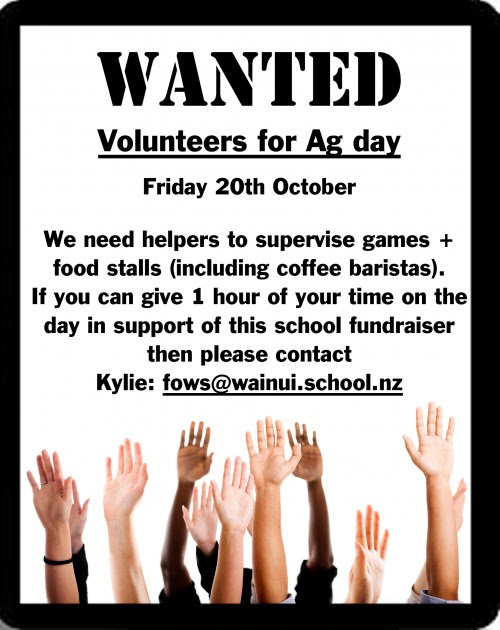 We’re offering Wainui School students the opportunity to have a table at our Ag Day markets for just $10. We ask that you don’t sell any soft drinks, cans or bottles, commercial sweets or baked goods. 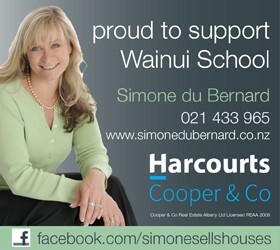 If you’re keen please either email Isabelle at isabelle.blais-smith@harcourts.co.nz or let the school office know. Please note if you want to have a stall inside you will need to pay the regular stallholders fee. Ag Day Raffles – We’re looking for donations of groceries and luxury food items for our Ag Day raffles. Please drop your donations in the blue plastic container in the office. Alternatively, if you prefer please feel free to donate $20 towards the purchase of items and we will combine this money and use it to purchase food items for the raffles. If you choose this option please either pay at the school office or else deposit it into the Wainui School bank account (12-3046-0155685-00). Please do drop us an email to let us know if you have chosen this option at fows@wainui.school.nz. A LUCKY PRIZE DRAW (a $50 Passionberry Cafe voucher) will be won by a lucky volunteer helper announced on Ag Day. We will be outside the hall on Wednesday and Friday for the last two weeks of term, so stop by and put your name down on the roster. 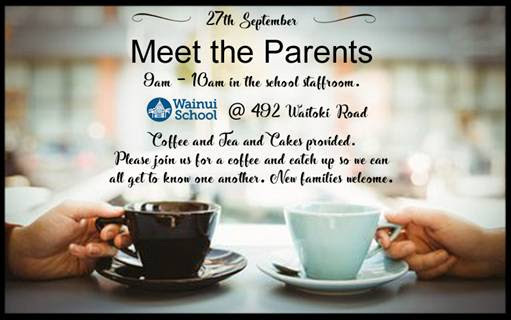 Or you can email us onfows@wainui.school.nz and let us know what time you would like to help. We have one hour time slots beginning at 7.30am and ending at 3pm. Come help support the school – every little bit of effort helps and is truly appreciated. Kauri: Taylor Godfrey, Alexis Lowe. Writing: Sam Gradowski-Smith. Kahikatea: Chloe Kay, Rita Straka. Writing: Ethan Garside. Miro: Alyssa Gorshkova, Stevie Waugh. Writing: Jakob Kerr. Rimu: Jordan Fincham, Kate Flinn. Writing: Mia Thomson. Matai: Zoe Grey, Dillon Ranby. Writing: Keelan Latham. Totara: Pearle Cameron, Tyler Morgan. Writing: Locky Jordan. Nikau: Lehi Greening, Destiny Harris-Hatley. Writing: Katelyn Burgess. Kowhai: Cameron Gear, Cori Suckling. Writing: Lily Haswell. Kohekohe: Riana Bouzaid, Harper Laurie. Writing: Georgina Logan. Pukatea: Rosie Gulik, Nikolai Pelser. Writing: Milly Dixon. Karaka: Izzy Glasgow, Jaime Tolhopf. Writing: Lilly-Rose Deery. Puriri: Felix Latham, Noah Peters. Writing: Flynn Dixon. Our amazing Hellyer Cup Winners were Zahara Patterson (Kowhai), Bella Browne Hale(Nikau) and Noah Richardson (Totara). Wednesday 20th and Thursday 21st September – Yr7/8 Bake Sale – Morning Tea. Monday 16th October – First day of Term 4. Tuesday 17th October – Young Farmer of the Year – All Students. 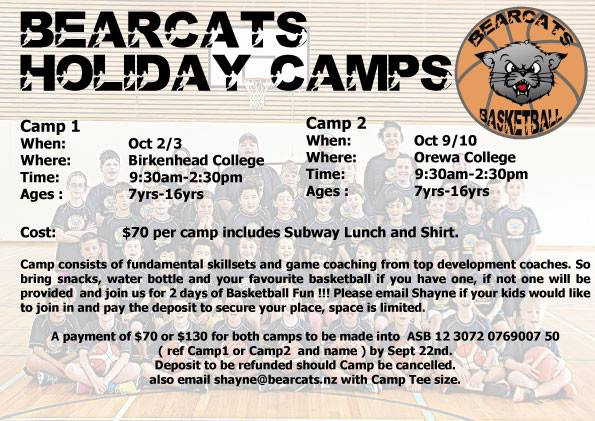 Tuesday 24th to Friday 27th October – Yr7/8 Camp at Motutapu. Registration for Dairy Flat Tennis Club is now open. Saturday junior tennis for primary school children, junior interclub for teenagers and a range of competitive and social adult tennis including mid-week tennis on Thursday mornings.